Let’s face it: an office environment isn’t always conducive to productivity. Once in awhile, it’s nice to take a break from the regular cubicle work space and plug in where the ambiance can help bring new energy to your workday. Your atmosphere can play a part in whether you meet that tight deadline or come up with creative inspiration to drive your next campaign. It cuts out the commute, allows for more quality sleep, and surprisingly, you may find your employees are more focused when they’re allowed to choose their environment from time to time. Telecommuting has climbed to 37 percent as of 2015 with employees working from home an average of two days per month. We’ve rounded up our favorite “work from home” spots that can feel like a good change of pace with an environment as comfy as your living room couch. It doesn’t matter if you’re a North Park neighbor or not, everyone loves Young Hickory. Open space, plenty of seating, and free WiFi are more than enough reasons to set up shop here for a few hours (if not the whole day) to crank out some work. 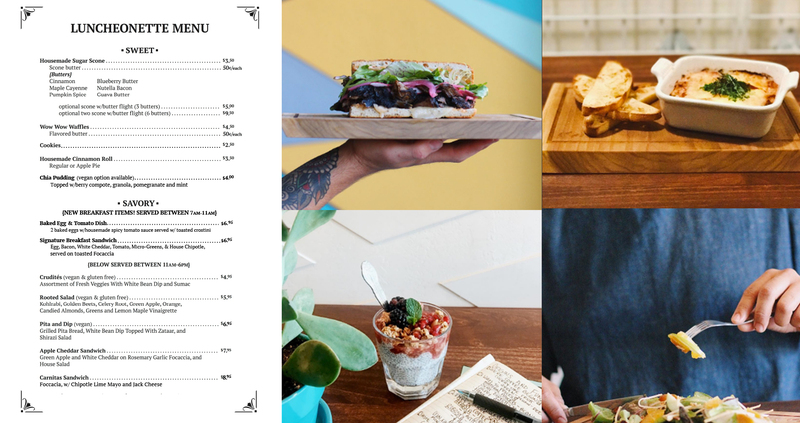 More than your average coffee shop, they have various breakfast and lunch items, including a panini called The Snob, which has goat cheese, pear, fig preserves, and almonds on sourdough. The SDPL’s downtown location gives you a room with a view. Choose a table by the window that allows you to look out at the Coronado Bridge or if you have to listen in on calls or concentrate without distraction, reserve one of the study rooms for free with your library card. Each reserved room is good for two hours, but can be renewed if no one else is in line. There are several nooks and crannies, including their outdoor courtyard to sneak away to when you have a work from home day. Don’t count out East County when looking for prime spots to get your caffeine fix, not to mention tasty food options to help fuel your day. Their Signature Breakfast Sandwich made with egg, bacon, white cheddar, tomato, micro greens, and a house chipotle served on toasted focaccia will leave you full for hours, so you can concentrate on work without worrying about a growling stomach. One of San Diego’s biggest attractions is a feast for the eyes, but also a perfect spot to enjoy the sunshiny days we have year-round. Did you know most museums in Balboa Park have free WiFi, which also extends to the sidewalks and outside spaces? Take your laptop to the lawn and stretch out on a blanket or if you need a table and chair, take a seat at Panama 66 and order their curry fries to snack on while you work. With several locations in San Diego, Lestat’s is an ideal spot to get your day’s work done. You’ll notice you’re not the only one armed with a laptop and earbuds in; it’s a favorite among the remote working crowd. Each coffeehouse has a unique feel with mismatched furniture and free WiFi to create a community vibe that can help keep your energy up without being too much of a distraction. It’s not uncommon anymore for employers to allow their employees to have remote working opportunities. While it might still be required for you to be present in the office on most days for team collaboration and meetings, a few days a month could make all the difference to reset your energy and monthly motivation. Work from home days can help boost your company’s culture and productivity. Read our blog on Tips for Creating the Best Agency Life for Millennials to learn what other aspects employees value from their work environment.